NEW RELEASE IS HERE, WITH MORE DETAILED GRAPHICS! 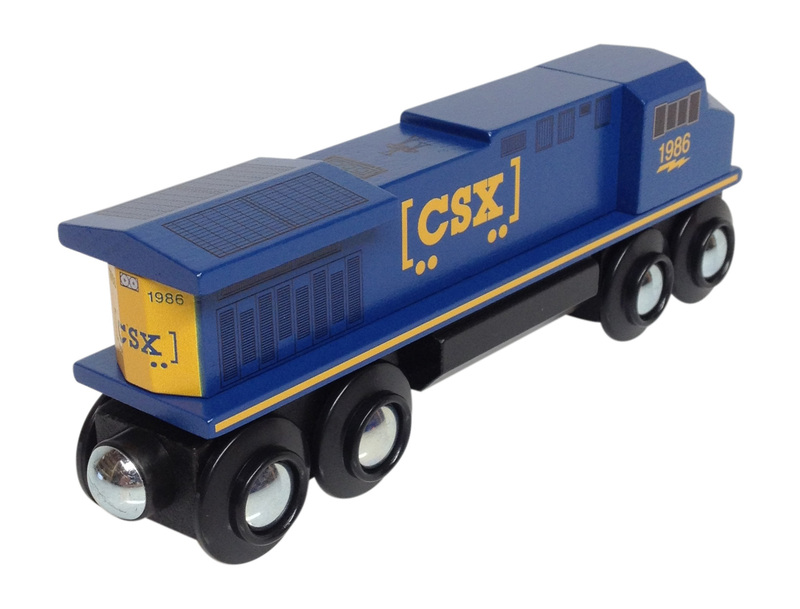 This CSX wooden train engine is approximately 5-1/2" long and made of solid Beech hardwood. Handles all sizes of curved track, fits through tunnels and under bridges, even negotiates ascending hills, unlike the competition. 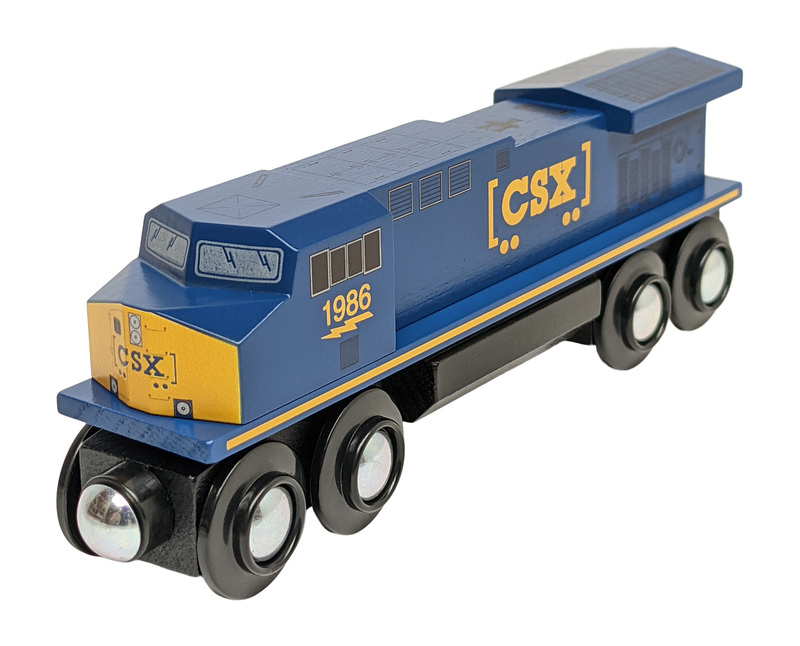 Crafted by hand & painted in detail, the quality of this wooden train is of the highest standards.